Where and how could nanotechnologies be used? How could they contribute to a better, sustainable European future? What kind of applications or products could you think of? 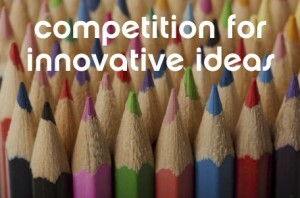 In Autumn 2014 NanoDiode asked school kids and students across to develop their own innovative ideas. Over 50 European youngsters took part in the competition and sent their ideas to the NanoDiode team. After public voting on NanoDiode website, an expert jury of artists, researchers, CSO and industry representatives picked their favourites – for the final results, the public and jury votes were counted together. The winner of the competition is Rodrigo García Ferreriro from the Colegio Corazón de María in Gijón – Asturias, Spain with his idea of “Automatically heated nanomaterials“ – materials that absorb sunlight, store its energy and release it as heat according to the user’s needs. NanoDiode is happy to award Rodrigo with the first prize of the competition – an innovation-oriented weekend trip for two to Amsterdam, the Netherlands! Edanur Demirsoy, Funda Coban, Ozora Thayalan, Diellza Aslani & Fercan Ferli from the Herbert-Hoover-Schule in Stuttgart, Germany with the “Nano-Headscarf: Swimming without getting wet”. Serena, Pablo, Edanur, Funda, Ozora, Diellza & Fercan will all be awared with trips to NanoDiode dialogues or with laboratory visits in their home countries. In addition to the individual prizes, the Herbert-Hoover-Schule in Stuttgart, Germany as well as the I.I.S. Caterina da Siena in Milan, Italy are awarded for their broad participation with the NanoSchoolBox, containing exciting nanotechnology do-it-yourself experiments for the entire class. NanoDiode and the expert jury congratulate the winners and thank all competition participants for their contributions! Below you can see all the ideas and click on them for more information – like, tweet or share the ideas you find best!